Home » Featured » Hereditary : An Unsettling Family Drama that will leave you Cold! 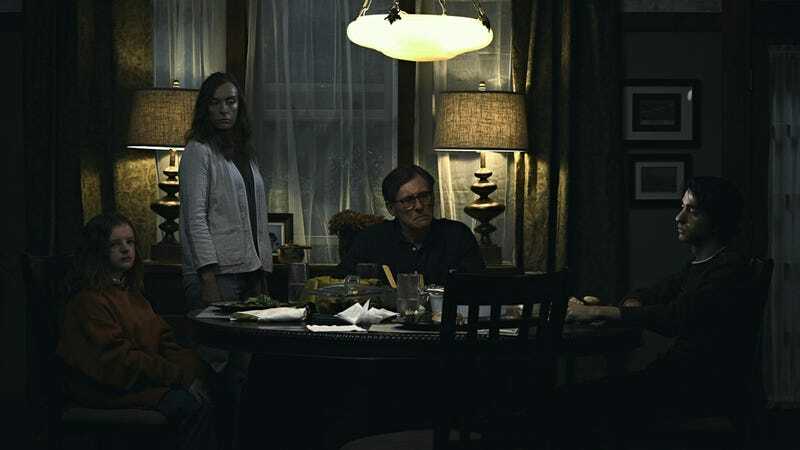 Hereditary : An Unsettling Family Drama that will leave you Cold! Ari Aster’s astutely well-crafted, unnerving feature debut is a guilt-ball of dread. The kind of dread that doesn’t scare you but completely overpowers your psyche when you find yourself sleeping on the wrong side of the bed or walking past the home corridor while dragging your feet. It’s the kind of scare-machine that twists every possible nerve in your mind to completely reframe your outlook towards the possibility of redemption. In only his first film, Aster has given birth to a dreadful, infecting organism that sits inside you while prevailing evil minute after minute. Set inside the Graham household, the film traces the life of the family after Annie’s (Toni Colette) mother passes away. Annie, who is a miniature-dollhouse artist is working on a project that features her own life and the happenings being represented as mini-doll versions of the family. The family also includes Peter (Alex Wolff) – a mid-teen pot smoker who is definitely struggling with more than just his teenage life, Charlie (Milly Shapiro) – a wide-eyed girl who scribbles and draws in her notebook and is probably the most creepy child in a horror film since like EVER & Steve (Gabriel Byrne) – the nice, warm husband who is always supportive and mostly keeps to himself. Everything seems normal in the Graham household. When no one is grieving the loss of Annie’s mother (including Annie), things don’t feel out of place. However, like any other haunted house film, Hereditary slowly starts taking a dreadful turn towards darkness. Charlie, who has been deliberately brought up by Annie’s mother starts drawing scribbled memories of her grandmother. The tension ups a notch when Peter starts having nightmares and when Annie suddenly realizes that her repressed grief is not doing her any good. Saying more about the film would be completely ruining it. It is one of those films that requires an immersive experience in order to be completely terrifying and spooky. Much of the spookiness does come out of brilliant sound design and Kubrick-esque camerawork, but the darkness also prevails as the film relies on a realistic grieving process. For the most part of the film, Ari Aster keeps us in a loop with the Graham family. His basis of terror comes from within the unfathomable dysfunctionality residing deep into the layers of the house. The constant decay in their roots also comes from a shadowy appearance that features a few unintentionally comic remunerations, but until then, the film remains a taut, suspenseful and finely crafted terror-machine. While critics have compared it to old-school horror classics like Rosemary’s Baby, The Exorcist, Don’t Look Now and others, the best possible counterparts for Aster’s film would be the incredibly atmospheric dread of Robert Egger’s The Witch & the dysfunctional metaphors of Jennifer Kent’s The Babadook. While Ari’s film is not as terrifying as The Witch nor as consistent as The Babadook, in technicality it overpowers every other horror film of the 21st Century. The incredible use of lightning and Pawel Pogorzelski’s brilliant framing results for some of the most dreadful frames in any horror film ever. The sound-design and an eerie, unsettling score by Colin Stetson gives a chilly, unnerving feeling that is hard to wash off. Also, the real reason why “Hereditary” works is Toni Collette. 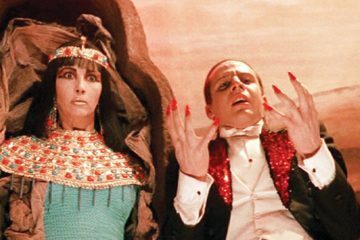 She is in almost every frame of the film and her undying, weary and disturbing performance is the centrepiece of this gut-wrenching tale of agonizing evil that always comes unannounced. Seen during a special screening organised by the MAMI YEAR ROUNDUP PROGRAMME.